Pro-life Arkansas Gov. 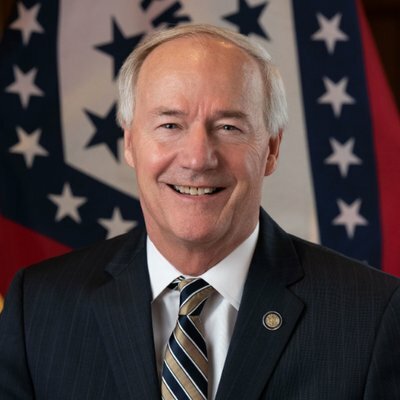 Asa Hutchinson today continued signing pro-life bills into law. As NRL News Today reported last Wednesday, the House passed SB l2 that would protect unborn babies who would be aborted solely because of a prenatal diagnosis of Down syndrome. The vote was a lopsided 75-11. The bill was sponsored by state Sen. Trent Garner (R). Prior to the vote, State Sen. Breanne Davis (R) gave an emotional presentation of a resolution recognizing world Down Syndrome Day, which is Thursday. Davis brought her infant daughter Everly, who was born with Down syndrome, with her as she discussed the resolution, according to the Arkansas Times. Under the new law, abortionists are precluded from aborting a woman if they know the sole reason is this diagnosis. Six states—North Dakota, Indiana, Louisiana , Ohio, Utah, and Kentucky—have enacted laws prohibiting abortion for genetic anomalies. Last week Kentucky Gov. Matt Bevin signed a bill into law banning abortion because of the gender, race or disability. “Abortion-rights advocates have opposed SB2, saying politicians shouldn’t meddle in the personal lives of pregnant women,” according to Hunter Field of the Arkansas Democrat-Gazette. would require abortion providers to report a variety of data about abortions that result in complications, but the data couldn’t be used to identify a patient or doctor. The Arkansas Department of Health would be required to compile a yearly report on the data, under the bill.